Welcome to the website of the American Chamber of Commerce in Hanoi, a vibrant organization that plays a key role in the commercial life of Vietnam. The information on this website provides insight into our services, activities, advocacy, and diverse membership. You can also find basic facts, figures and other business information about Vietnam. One of the basic tenets of AmCham is that business should enjoy a statutory and regulatory environment that provides transparency, predictability, stability, accountability, and due process. Unfortunately, that isn’t always the case in Vietnam. We know our members can face a variety of barriers to investment here including unequal enforcement of the law, weak intellectual property rights enforcement, administrative burdens, and more. Our companies and investors perform best in a transparent and competitive environment – where good governance leads to good business. AmCham will continue to address these important issues. We will focus our advocacy this year on efforts to improve the ease of doing business here and on addressing areas where inconsistencies, inefficiencies, and unfair practices persist. AmCham remains confident in Vietnam’s long-term prospects and we will continue to play a helpful and constructive role, to speak out on positions of interest to our members, and to be a strong advocate for a better business and economic environment in Vietnam. If you are not yet a member of AmCham Hanoi, I strongly encourage you to join. If you are a member, I urge you to actively participate, make your voice heard, and let AmCham work for you. You can get the most out of your AmCham membership by becoming involved in the organization, our sectoral committees, and by using our services. As a volunteer organization, AmCham could not operate effectively without the participation of our members and the uncountable hours they put towards our activities – we thank you for that. 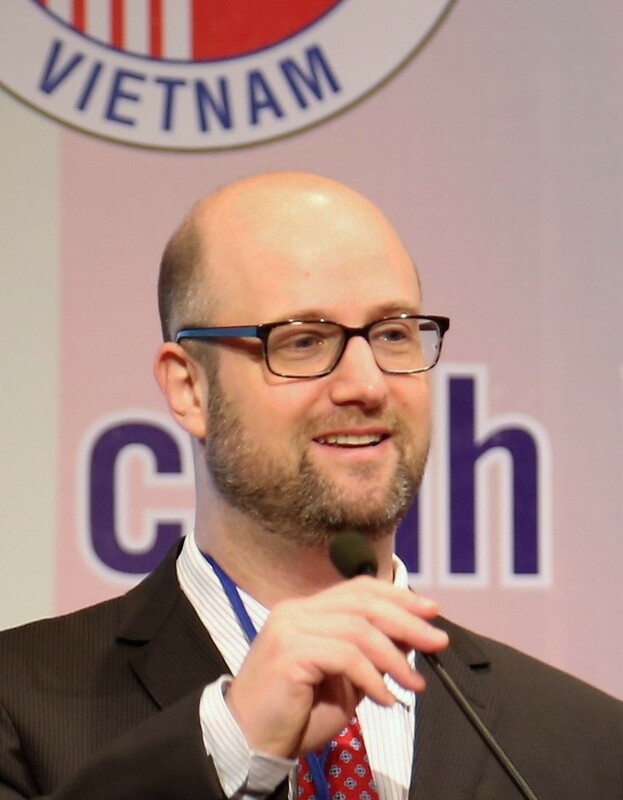 As Executive Director, I work hard to make sure AmCham remains the leading foreign business association in Vietnam. We strive to deliver more value to members and to have a stronger voice in the public debate.